As adults, we are used to the symptoms that come from a lack of grounding, even if we don’t recognize that it’s a feeling of groundedness that we are lacking. You know how sometimes you let the busyness of your life take over and as a result you feel like you are out of control, running on autopilot, disconnected from friends and family, and disconnected from the Earth? Yup. That’s a lack of grounding. Children can experience this as well. It happens when they get overwhelmed by those big emotions and lose their connection with their body and breath. It happens when they spend too much time sitting in a classroom or staring at an iPad, and not enough time moving their bodies. It happens then they are overscheduled with countless activities that leave them little or no time for free play. And it happens when they don’t spend enough time outside exploring nature. Sometimes children need to touch the Earth, to hold a piece of it in their hands, in order to remember that they are a part of it, and to feel connected to it. When we help children to feel grounded, we are reminding them to return to their physical body, to pay attention to their breath, to recognize and remember that they are a part of the Earth, and that they are connected to everyone and everything on the planet. 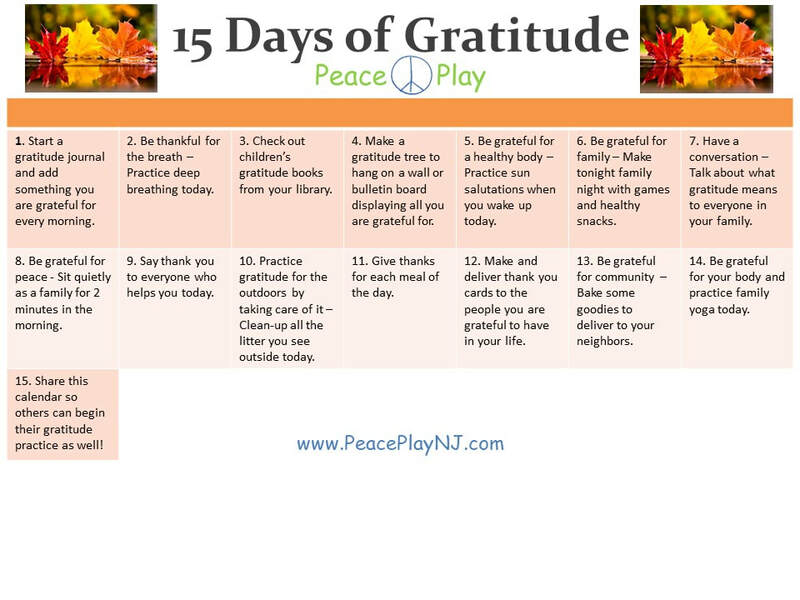 Here is a simple and fun activity that you can do with your children to help them feel grounded, whether you are a parent, school teacher, therapist, children’s yoga teacher or anyone working with kids in some manner. Once they have collected their rocks, find a quiet and peaceful place to sit, indoors or outdoors. Have the children hold their rock in their hands and close their eyes. They can play with the rock, turn it over, feel its smooth or bumpy surface, and notice any qualities about the rock. This is a quiet moment for them to connect to a piece of the Earth. After a few moments, direct the children’s attention to how hard and sturdy their rock is. Remind them how sturdy the Earth is as it holds and supports them. Keeping eyes closed, recite this short mantra to the children line by line, and have them repeat it back to you. I am here. I feel my body. I hear my breath. I am part of the Earth. Children can keep their rock in a special place or even carry it around with them so that whenever those feelings of upset and disconnect come over them, they can hold onto their rock and recite their mantra to help them feel calm, stable and grounded. Sarah is a 1st grade teacher who completed the Peace Play Children's Yoga Teacher Training in March of 2016. Check out her video below about what she has been up to since completing the training and the awesome ways she is helping to bring more peace to the world by incorporating daily yoga into her classroom. 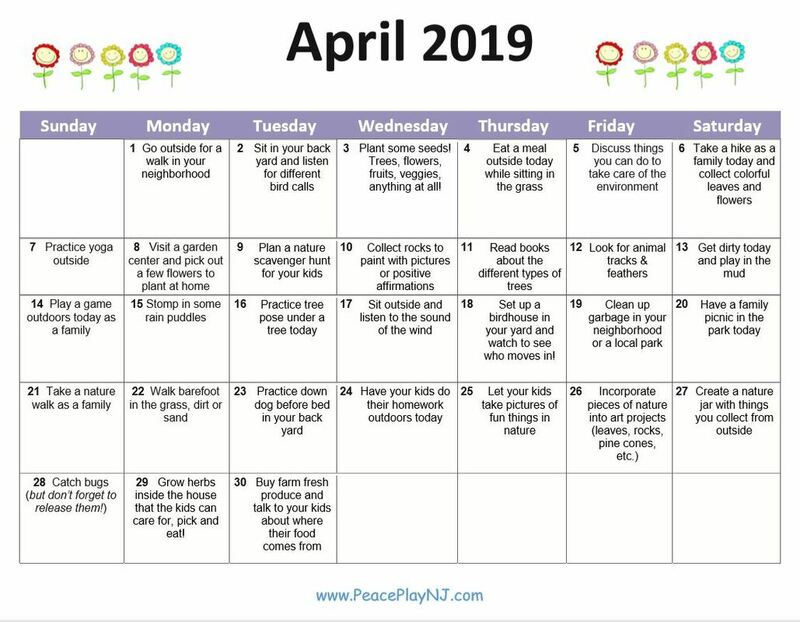 There are so many simple, every day things we can do to teach children compassion, to show that we are all connected and to demonstrate how we can take care of each other. Children learn from example, so for the month of February I challenge you to model compassion and kindness as often as possible. Invite your children to participate, too! 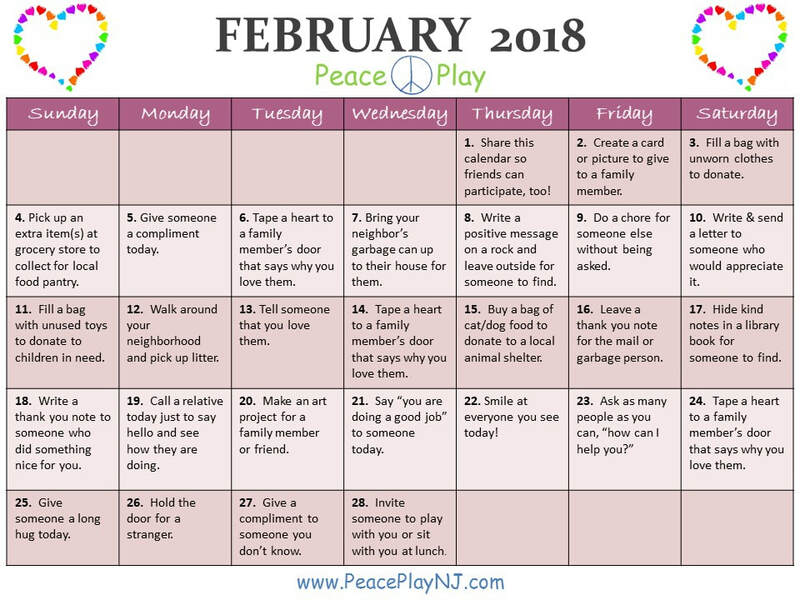 Below is a kindness calendar that you and your family can do together. One random act of kindness for each day. Have fun and spread the kindness! ​Vision boarding is a fun and creative way to teach children goal planning. A vision board is a collage of cutout pictures, words, and phrases that affirm or correlate to your goals, or anything you want to accomplish or acquire. Vision boards put the Law of Attraction in motion, which, simply put, is the ability to attract into our lives whatever we focus on. By creating a vision board, children create a daily visual reference to remind them of their goals and what they are working to achieve. Though people of all ages benefit from having a vision board, this activity is especially beneficial to children because it teaches them how to look forward to what they want to accomplish, and provides a plan for them to succeed. Vision board parties provide a delightful atmosphere of bonding, self-reflection, and intention-setting. Having children create a vision board is a fun and creative way to get them thinking about and planning their future! · other available arts & crafts supplies (stickers, glitter, etc). 1. Have children sit quietly for a few moments to center. 3. Provide a sheet of paper for notes on what they want to accomplish this year. 4. Search through magazines; cut out pictures, words, phrases, images, etc. ​ reminder of what you are working towards, so make it appealing to the eye! ​ option to present their boards to the group. 7. Place vision board somewhere in the home where it will be seen every day (e.g. ​ hang/mount on bedroom wall, like a poster). Vision boards are living documents and can be revisited/updated at any time, as needed/desired. Teresa Robinson is a Peace Play Certified Children's Yoga Teacher, a Certified Yoga Teacher for adults and certified Reiki healer. She became a teacher in 2016, after the practice helped her overcome a long bout of depression and anxiety. A former athlete and lover of all things health and wellness, Teresa enjoys helping others find the balance between physical fitness and mindful living that works best for them. When she isn’t teaching yoga or helping others find their “zen,” Teresa enjoys spending time with her husband and their four children. Connect with Teresa on Facebook or her website. 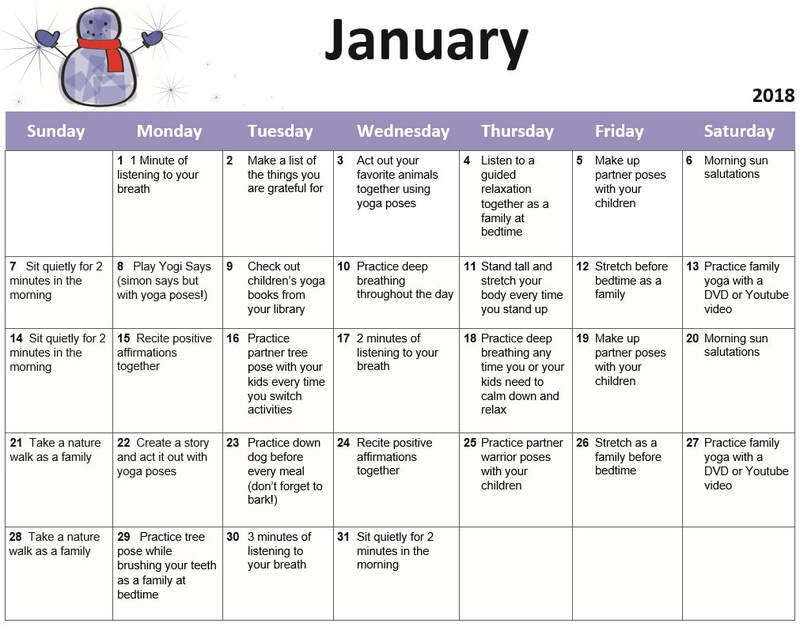 Any time of the year is the right time to add healthy habits to your families routines. And since it is the season for making resolutions, how about resolving to do yoga (or more yoga!) with your kids? Here are some quick and easy ways you can incorporate yoga into your every day lives.